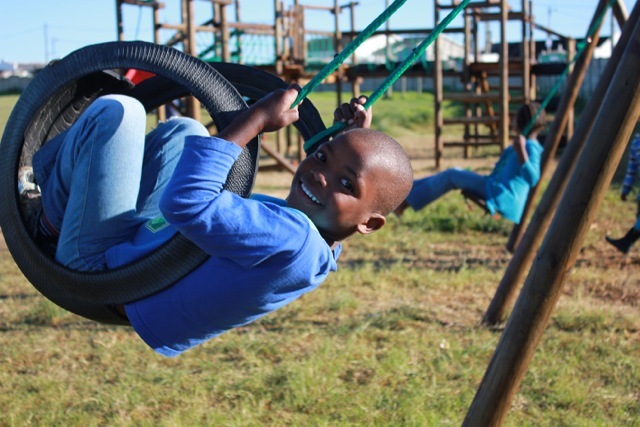 The Kouga Wind Farm has upgraded the sports facilities of the Sea Vista community and invested in a new children’s play park, as part of its corporate social investment commitment to the communities neighbouring the R2bn renewable energy project at Oyster Bay in the Eastern Cape. 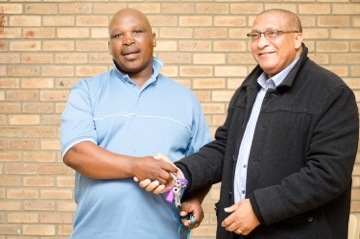 Kouga Municipality Executive Mayor Booi Koerat accepted the keys to the upgraded facility from the Kouga Wind Farm (KWF) Corporate Social Responsibility team at a ceremony attended by local government councilors and officials as well as community members at the Sea Vista Community Hall on Thursday 29 May 2014. 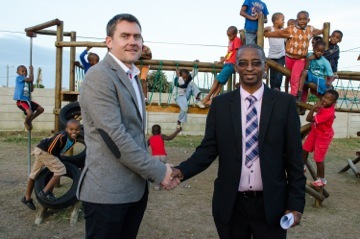 The handover was followed by a tour of the upgraded sports facility and a presentation of the new play park, which was created after being identified as a priority project by the Sea Vista community. 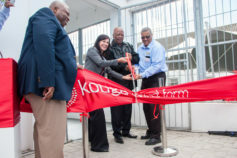 The upgrade to the sports facility included re-sealing and painting the surface of the netball courts, replacing vibracrete panels and diamond mesh fencing, installing a vehicle gate and two pedestrian gates, replacing broken windows, doors and ceilings, cleaning the change rooms and painting internal and external walls. 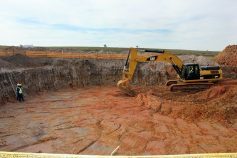 Smhart Security, which installed security doors and an alarm system, will provide security support to caretaker Nceba Sidenana who was appointed to oversee the facility. 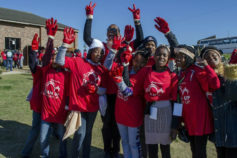 A defining feature of the KWF is that it far exceeds the minimum threshold of 2.5% community participation set for each Renewable Energy Bid – the KWF Community Development Trust holds a 26% shareholding in the project company and will derive income from the sale of electricity to fund health, welfare, education, local infrastructural and enterprise development projects. Upgrade to the Disney Crèche, which included minor roof patches, rust repairs and painting (January 2014). 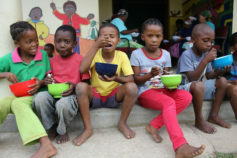 • Providing new large pots for Aunt Aggie’s Soup Kitchen and Aunt Margret’s Soup Kitchen in Sea Vista (December 2013) • Responsible for providing fresh vegetables and other desperately needed foodstuffs to Aggie’s Soup Kitchen and the Shekinah Ministries soup kitchen in Sea Vista on an ongoing basis. 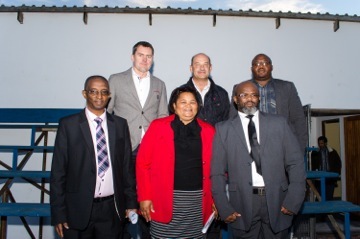 • As part of the infrastructure development, Power Construction and Nordex have spent in excess of R150 000 upgrading the main access road between St Francis Bay, Oyster Bay and Humansdorp. • Donated food parcels and blankets to the Sea Vista families who lost their homes when a fire broke out (July 2013). 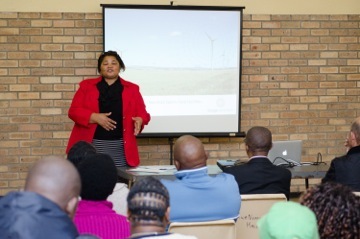 Mark Tanton, a KWF director, says the wind farm is working closely with the Kouga Municipality and local communities to identify priority projects and to plan long-term Economic Development initiatives, which will be implemented once the wind farm is commercially operational and generating income for the KWF Community Development Trust. 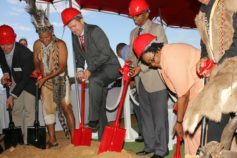 Construction is on track and the 32 turbines will generate 80MW of clean and renewable power when the KWF goes operational in December 2014.